G’day everyone and welcome to what will be the first ever blog that I have written on a whiskey without actually tasting it. Recently I was on yet another trip South and managed to snag myself a bottle of something extremely rare. I have not really been a big buyer of whisky in the past. Wait on a sec before you get all shocked and horrified I need to clarify that having been in the industry most of my whisky drinking life I literally have more whisky in my basement than I can drink. Whisky shopping can be a bit like Antique shopping with dusty bottles of amazing whiskies often sitting around for years before someone in the know scoops them up and makes an instant 100% return or more. This is frequently the case for Limited edition distillery bottlings but even in the independent bottling world there are bargains to be had. For indies there is even more chance that a special bottle has been overlooked for years and will gift someone a “start the car” moment. For me this is perhaps the first bottle in what might become a long line of purchases that go into my “whisky fund” collection. I have always been a drinker of whisky and not a collector. Almost every bottle on my shelves is open and I am a firm believer that whisky was made to drink but I have no problem with the fact that the drinker may not be me. Like any investment there are always risks to take and a level of comfort you need knowing that you could blow your money. In the case of whisky investment the worst case scenario is that you can drink it……um seems like a win win to me. In these uncertain times and stock market fluctuations whisky has been a consistent winner for investors over a long period. So with a little homework and a bit of luck you too can find those treasures and start your own whisky bank. 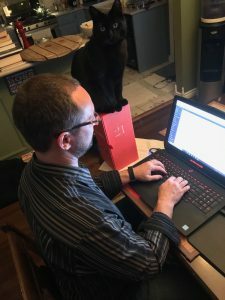 The topic of today’s blog just happens to be a bottle that found it’s way to me after a year of waiting. The Parker’s Heritage Collection from Heaven Hills has had some epic releases over the years including extremely old whiskey. 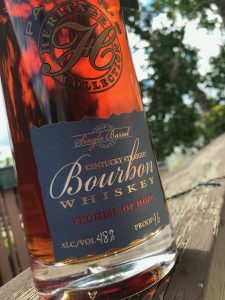 The Promise of Hope is a 10 year old Bourbon at 48% and even reading through many tasting notes and reviews I have found a consistent thread of incredible balance and harmony in this whiskey. Almost enough to make me want to crack it and have a sip right now but I’m going to resist the urge on this occassion. 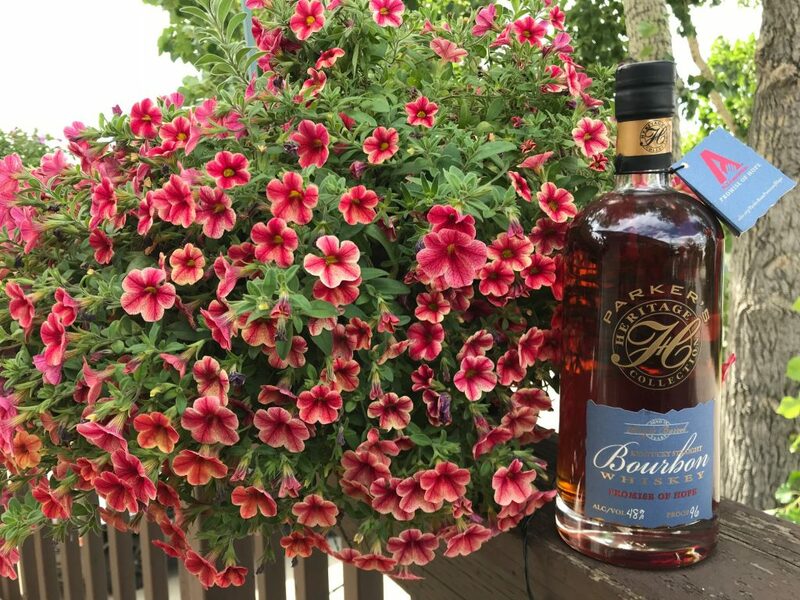 Parker Beam having been diagnosed with ALS has begun the Promise of Hope fund that goes towards research, advocacy and compassionate care for a very difficult disease with no cure at this time. This is the first single barrel whiskey released under the Parker’s Heritage Collection and helped to add around $ 250,000 into the fund. If any of you are interested in helping out with this worthy cause you can check it out here – Promise of Hope Fund. So to give you an idea in numbers for a bottle like this. Original retail price – $ 50. Almost immediately on release that went to $ 100 and is now worth over $ 500 on the secondary market. All this in only 5 short years after ithit shelves in 2013. If you like whiskey/whisky in all its forms and can be disciplined enough to not open every bottle that you bring through your front door then get out there and find some gems. The rewards will be well worth it. Next time drinking then writing – should be fun. G’day everyone and welcome back to a brand New Year. After spending Christmas in Ontario I was back at another wonderful whisky festival week in Edmonton, Calgary and Victoria. You can read about how amazing these festivals are in one of my previous blogs. As promised today I am sharing a rareish bottle of whisky from the largest producing brand of Single Malt in the world. Glenfiddich is mopst likely extremely well known to everyone reading this blog. As an imbiber of all things independent bottling it is a scarcity for me to reach out and grab a big brand bottle. I literally stared at this particular packaging for almost the entire month of December while promoting our Scotch Whisky Advent Calendar at Costco in San Francisco. As a branding and packaging piece, the team at Glenfiddich did an amazing job. Everything from the box to the bottle is full of little details that make it exceptionally well thought out. This is the Glenfiddich 21 year old Reserva Rum Cask Finish. 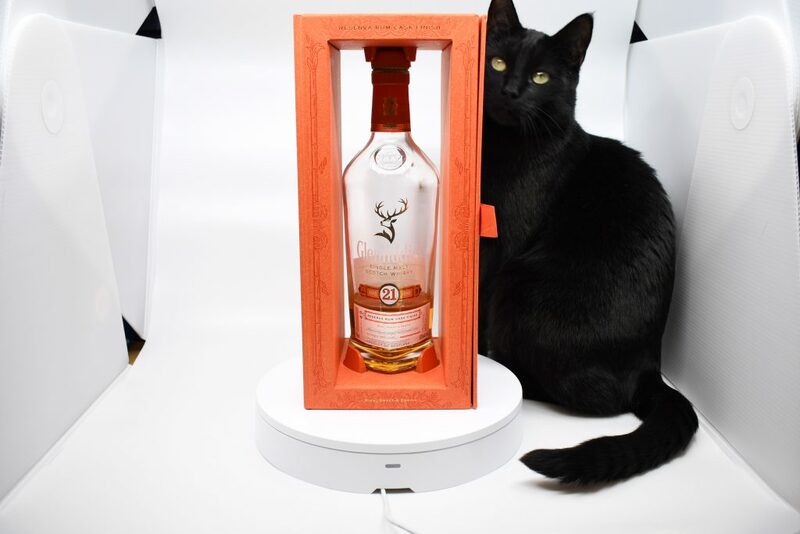 The rich orange colouring of the box with the double opening doors allows for light to play on the whisky bottle and to say that it beckoned me to open the bottle is an understatement. Like most everyone I am also swayed by beautiful packaging and well thought out design. After tucking it under my arm and transporting it back to Canada I could hardly wait to see if what was inside the bottle would live up to the eye candy. 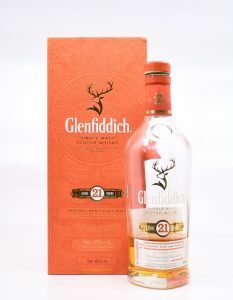 Glenfiddich 21 Year Old Reserva Rum Cask Finish – Bottled at 40%. With the Rum cask no doubt giving it a rouch of extra colour I would hope that it does not have any caramel added but I expect with the worldwide distribution and number of bottles that it is. Also sadly chill filtered. Nose: Tropical fruit influence taking me to ripe banana split with vanilla bean ice cream and hot caramel fudge drizzled all over it. Palate: Light delivery that leaves me needing another sip as it was all gone rather quickly. There are some light sweet spices… a touch of ginger, vanilla, and a hint of the tropics like the smell of the fruit bowl when its across the other side of your resort hotel room. Finish: Drying and trying to hang on but fading quickly. There is some citrus poking through at the death but little else. Was really hoping for a lot more and if it had been 46% and non-chill filtered I know that I would have been rewarded handsomly. However the bottle yield would have been much less and alas that is not the way Glenfiddich plays. 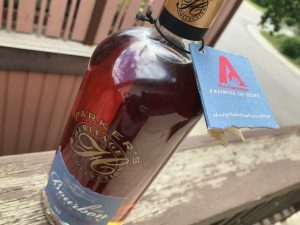 I went in search of some reviews to compare and found a few lucky souls that had received barrel samples of this whisky and lets just say that their experience was much improved over the final version. So this bottle was selling for around $ 180 US. For a packaging analysis and big brand experience blog experience I would do it again. If I were a consumer I might be a touch dissapointed that the whisky could have delivered so much more. Why dress the whisky up in the finest of formal evening wear only to strip it of all the nuance and complexity that would have made it shine. Great experiment and fun to do. Would be nice to really see the big boys let it be all about the whisky sometimes even allowing for spectacular packaging. My suggestion would be to save your $$$’s for something a little more epic but by all means grab it off the shelf and check out the packaging. Next blog as promised quite a while ago I am going to be tasting a small batch bottle of something crazy from the boys at Two Brewers in the Yukon. Stay tuned. 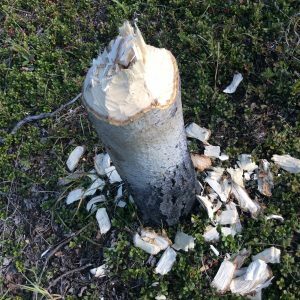 A second Great White North adventure to the Yukon was a must after the amazing time I had last year (read the blog here). This time around the focus was Whitehorse but I’m sure we will be back up in Dawson again at some point. 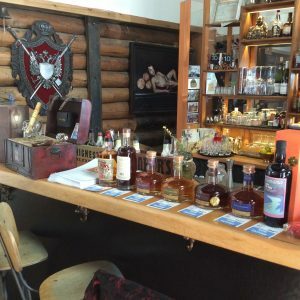 In a Yukon first some high ends Rums were the order of the day with a Rums Revenge tasting at the outstanding Woodcutters Blanket Cocktail and Whisky bar. Two sittings were needed to fit everyone in and provided an intimate atmosphere to really get our collective Rum geek on. James the owner who’s folks live in Calgary had already had a chance to try some of the rum with me a few weeks prior and so with his exceptional bar tender had come up with a couple of delicious cocktails. 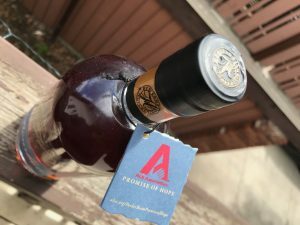 The first called Port of Saints included Walnut Bitters, Angostura bitters, Six Saints Rum and Warre’s Late Bottled Port along with a drunken cherry and lemon zest curl and spritz. This was paired with a Cuban pulled port slider with pineapple and spice that was gone within seconds of landing on the table in front of me. The second cocktail was a Saints Flip that tasted just like rum and nog with cinnamon dusting. So we ran through 7 rums starting with the Six Saints and then moving onto the limited edition Santeria, West Indies Rum and Cane Merchants Central America, British West Indies, Belize XO and French Overseas before finishing with the Samaroli Fiji 2001. With such a diverse range of flavors and some truly incredible Agricole expressions there was no doubt that we had many new Rum converts by the end of it all. Getting all Piratey and helping folk to get jazzed about Rum is just such a pleasure. Big Bear Donair the only place for late night fare in Whitehorse came to the rescue for the after party munchies and my Greek Donair was just the ticket. 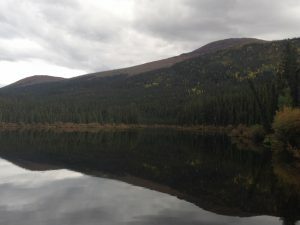 Loved staying in Riverdale at the Vangorda Bed and Breakfast as it afforded me a decent walk along the river into Whitehorse. 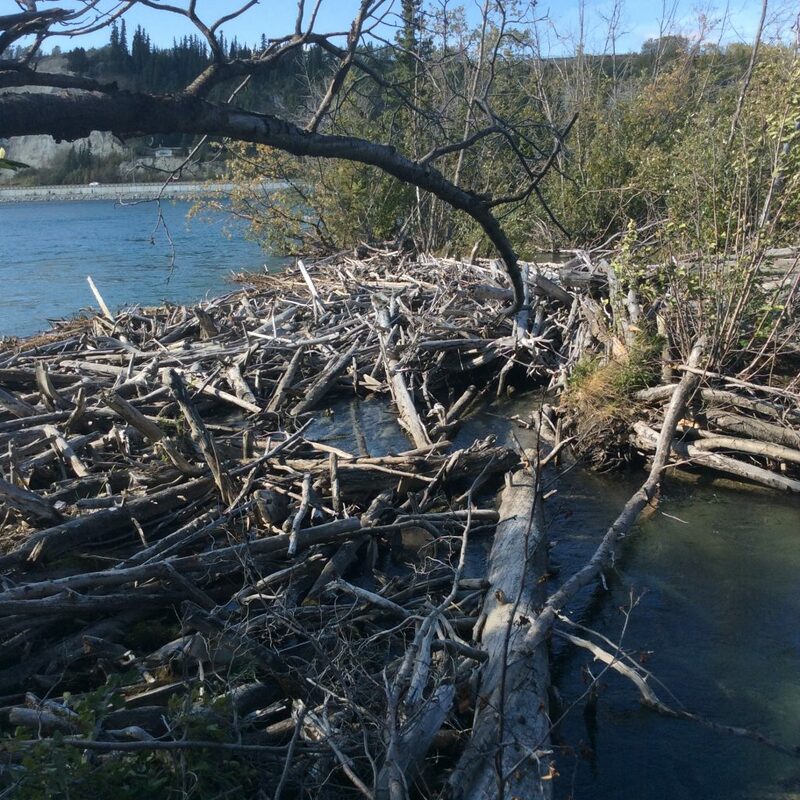 This is where I came across the evidence of a very busy colony of Beavers and one of the largest dams I have ever seen. 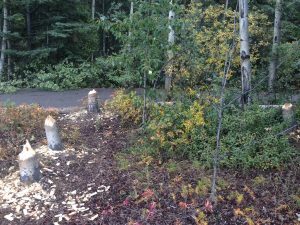 Every morning there were a few more trees felled overnight and the size of the trunk was no deterrent to getting those teeth stuck in. I wish I could have sat on the bank at dusk and watched them swim back and forth but had to be content checking out the new work each morning instead. 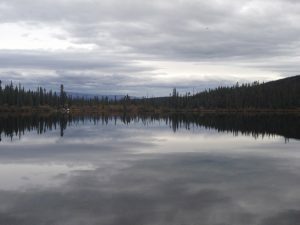 An invitation out to his home by a small lake by Peter Turner the president of the Yukon Chamber was very special as the Cedar plank Salmon and Rum by the fire pit completed a great Yukon evening. Apparently the Northern lights were supposed to be especially vivid but alas all we had was cloud cover. Onto the whisky and we had a full event with 8 drams. Shetland Reel Batch No. 1, Lost Distillery Company Gerston, Samaroli Alt a Bhainne, Wemyss Malts Barristas Dram Craigellachie, Lost Distillery Company Jericho Christmas Pudding, Malt Whisky Company Glenrothes Oloroso Sherry Cask, Wemyss Malts Kiln Embers and finally Samaroli Islay (Laphroaig) Batch 2. The heel auction at the end of the night included the rums from the previous events and was a load of fun. We were able to raise a good amount of extra $$$ for the Chamber and make some people very happy to be taking away a special treat. 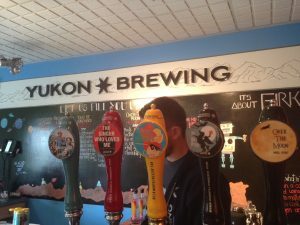 A visit to Yukon Brewing and Two Brewers Distillery was a real bonus. Sometime in the future watch for a review on the Single Cask Barrel Aged Schnapps that if it were bottled in the US could easily be classified as a whisky. I have tried Two Brewers whiskies on a few occasions and must get one for a review sometime soon as they are all delicious. Thanks Rachel for ferrying me around Whitehorse all week. I am really looking forward to getting back there again as it’s one of the highlight trips of the year for me. On my recent trip to the US I had the pleasure of travelling to some amazing whisky retailers in the Eastern States and happened upon a bottle of Wigle Organic Rye. Having not reviewed an organic whiskey before and with some high praise from Jacob at The Old Wise Dog in Connecticut this was a no brainer. 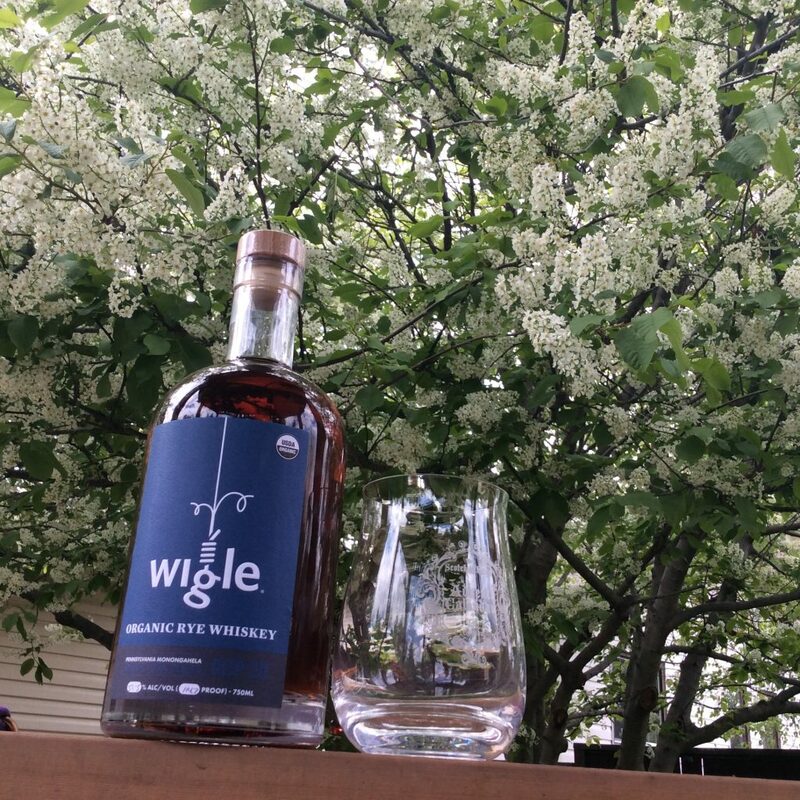 Wigle Distillery is a small distillery in Pennsylvania (the first state to produce Bourbon) that uses heritage organic grains that they mill on site. They have an outstanding reputation for attention to detail and doing it right from start to finish. Pronounced why-gl (not wiggle) I was initially told about this distillery by a good friend of mine who’s last name happens to be the same. So as it happens I also brought back a bottle for him so that he can drink a delicious Bourbon with his name on the label. So lets get into the whiskey. Bottled at the cask strength of 57.5 and aged for 14 months only in a small charred new American oak casks. Made in small batches my bottle is from batch 17 that was bottled on the 30th October 2016. Tasted in my SWAC 1st edition Spiegelau whisky tumbler. Distilled in a copper pot still. All the details you could want by hand. Colour: Really deep red giving a big clue as to the amount of charring those wee barrels received to allow for maximum whiskey/barrel penetration. Nose: Rye and lots of it with the cask strength not really asserting how much alcohol the label tells me is present. This nose is exciting with a real richness to the spice load that makes me think the Heirloom Rye grains used here could hold more flavor than I have experienced in rye before. Lets see if the palate holds up. Palate: This hits me as being all rye with some lovely bitter notes intertwined with just a mass of heavy spices. The alcohol while there only adds to the big punch this whiskey has. Despite the largess of the spice there is a lightness about the delivery on the tongue that has me picking out some more delicate chocolate and toffee notes. Big and oily. Finish: There is a juicy Rye bitterness that runs through the finish that I think makes this a dram for a mature Rye whiskey palate. The high ABV just dries it all out a touch leaving some citrus zest and an oh so lingering knowledge that you just got spanked a little but in a good way. Not a rye for the faint of heart it “cuts deep” to the heart of why Rye is such a cool grain. There should be more big Rye expressions like this at high ABV so that we can experience the truly untamed beast that is Rye whiskey. This is going to make some cocktails that my wife will be very happy about 🙂 and I can’t wait to put it alongside some Connecticut wrapped cigars this Summer. 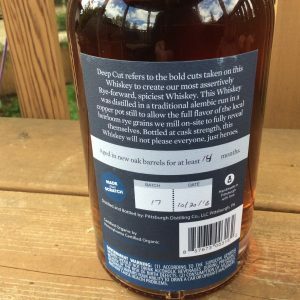 Wigle Whiskey is not yet available in Canada that I am aware of but if you are in the Eastern US you owe it to yourself to seek out any of their bottles. I just love hand crafted small batch whiskey and Wigle are right up there for what I have tasted from the US in the past few years. We will be getting our rum on again next time as Father’s Day looms and the Pirates of the Caribbean franchise cranks out for the last time. 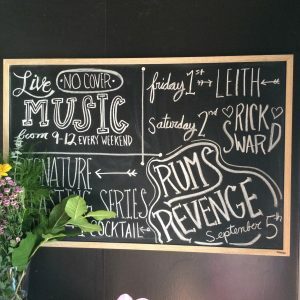 Things have been busy here at Secret Spirits over the Summer as we ramp up a new look Singlemalting website and get deep into preparations for launching the third edition Scotch Whisky Advent Calendar and the first edition Rum’s Revenge. 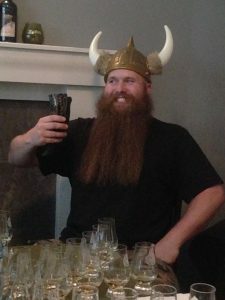 Before departing for my second Scotland trip of the year I was invited along to a very special Ardbeg tasting by Curt from Allthingswhisky.com. Those pursuing whisky and everything that it brings to the table understand that not much is needed in the way of enticement to turn up to a mega tasting of no less than 11 Arbeg expressions. 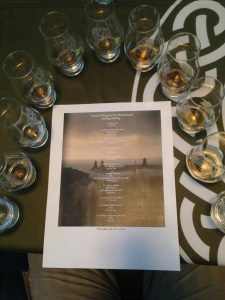 More than just a tasting of epic proportions it was first and foremost a way to raise some much needed funds to help send a fellow whisky lover on a trip of a lifetime to Islay. The gentleman in question will remain nameless to protect the innocent (see picture attached). All proceeds for the evening went into a “trip to Islay” kitty with Curt donating all the bottles from his own stock which was amazingly generous and speaks volumes about his qualities as a whisky fan and a great guy. 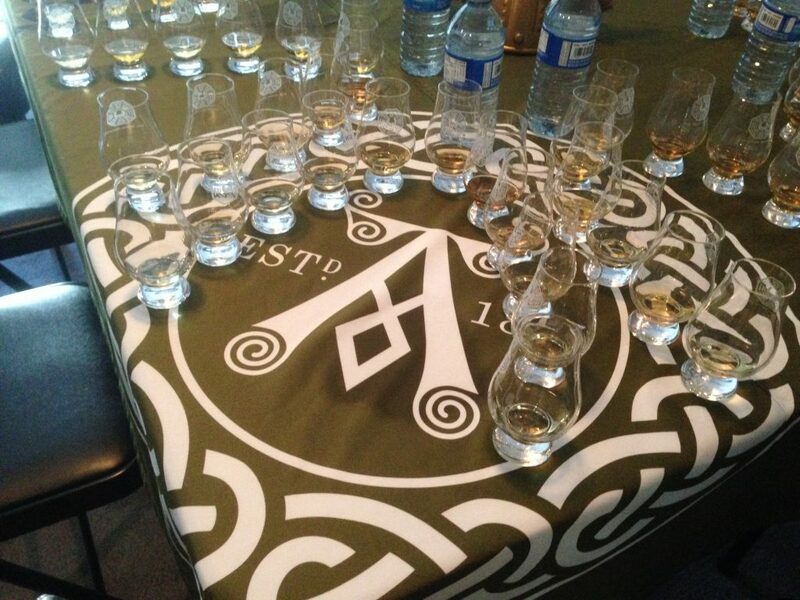 So let’s look at the lineup of the most amazing Ardbeg array ever to grace a tasting mat. Whoa it almost hurts my taste buds again just thinking about all those heavy weight drams. Absolutely amazing and gave me an even greater appreciation for the depth of complexity that heavily peated whisky can deliver. I was really bummed that I had not cleaned out my whisky connoisseur kit to take along as I had to leave many a delicious dram behind. Suffice to say that a grand time was had by all with some amazing cigars on offer to make the night complete. Hoping to get a report from our Viking friend on his Islay travels at some point but I know that it will be incredible. A lot of you might have been hoping for me to write detailed tasting notes on each but alas it was not that sort of evening and I just enjoyed each one for its own sake. Let’s just say that I really like Ardbeg a lot more than I thought I did at the start of the night. I want to add a note about how whisky geeky my mate Curt can get and sporting a freshly pressed Ardbeg tablecloth might just be the pinnacle that any budding geek can aspire to. For those of you on this whisky journey remember to share and share often. The more you open up your dram cupboard the more opportunities will come your way. A little tag line I coined as an email signature is “a dram shared gives twice the reward” I can say on this night that it did 10 times over. Thanks Curt for a memorable evening. Well an epic week for me after living in the Great White North for over 12 years, I finally sealed the deal and became Canadian. Swearing the Oath to the Queen and becoming official on the 12th of June 2014 at 9:30am. So now I have a split personality part Australian and part Canadian, or Aus-adian! Really the perfect segue into a blog on Canadian Single Malt whisky. There has been, for the past two decades, only one choice for patriotic Canadian’s wanting a home grown Single malt. Glen Breton from the Glenora Distillery in Nova Scotia has been the benchmark Canadian Single Malt Whisky producer. Their “Canada’s Only Single Malt” label I noticed just changed recently with their new releases to “Canada’s First Single Malt”. No doubt they have been keeping tabs on developments in the industry and knew it was just a matter of time before someone else joined the party. It amazes me that they had it all to themselves for so long. There are now a number of distilleries working up to Single Malt releases. Keep a look out for Shelter Point on Vancouver Island, Okanagan Spirits in Kelowna and Urban Distillery in Kelowna. Still Waters Distillery in Ontario released their Single Malt last year and have already received great acclaim. Recently picking up the Best Single Cask award in Whisky Magazine, Still Waters have made a definite market impact already on the Canadian micro distillery scene. To be up front with everyone I have been working with the Barry’s now from their early days as Independent bottlers. 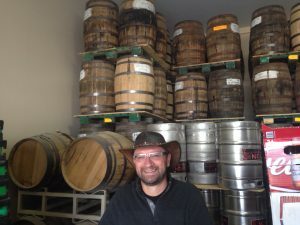 Their early entry into the market was frustrated by crazy outdated laws that forced them to have 2% Canadian content in their single casks of Single Malt Scotch. This meant that they had to create a whole new whisky category that consumers could not understand. It was certainly a tough way to start a business. However their passion for whisky never faltered and soon after their still was installed and running. Most new distilleries on their path to releasing whisky invariably distill something faster to take to market and bring in much needed capital. Still Waters was no exception releasing their Single Malt Vodka under two different labels. The vodka, while smooth and delicious with a hint of sweet barley on the nose, entered into a tough category that is driven by big marketing budgets and fancy packaging. Vodka is a very lucrative market and is the volume piece of the spirits puzzle. 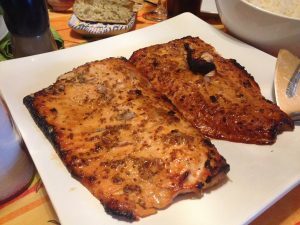 Gaining market share in a crowded sector with a product that is basically shades of grey when comparing quality and flavor is certainly a challenge. I encourage any whisky drinker that wants a vodka for any mixed beverages to check out the Still Waters Single Malt Vodka. Remember that you are directly helping the micro whisky industry drinking small batch spirits. You should, if you are in BC, be buying anything from Shelter point right now to help them get over the line with their Whisky. Sorry for that slight deviation from topic. I do tend to have a passion for small hand crafted product over the mass produced brands and try to get anyone who will listen to think about supporting the small guys. I am going to look at two Single Malts today from Still Waters and do a comparison between single casks and also at cask strength vs 46%. Tasted in a Reidel whisky glass – my favored glass for Cask Strength and I have a gentle dishwasher. Nose: Sweet vanilla bean with hints of Seville orange marmalade – just that nice hint of bitter rind. Really inviting nose and very soft in the Reidel. Would no doubt be potentially overpowering in a Glencairn. Palate: Instantly palate filling with plenty of tingle as it spreads over the tongue with creamy sweet spice laden cinnamon and nutmeg. 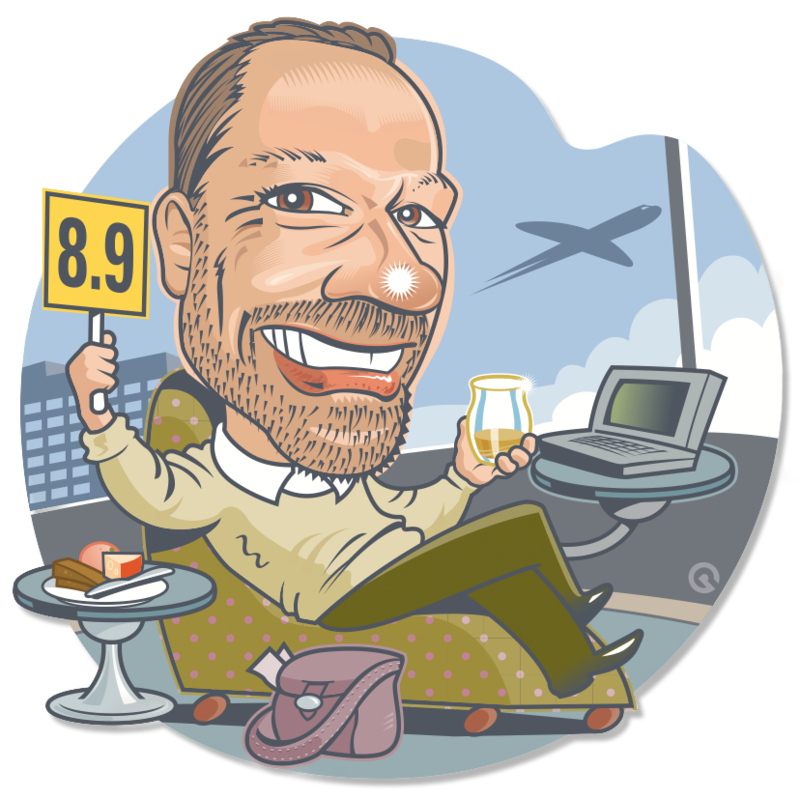 The 61.3 certainly gives it a dryer edge but is remarkably balanced for such a young malt. With just a drop of water the alcohol really fades away with more of a hay bail and fresh grass tinge underlining the spices. For this whisky I think my preference is at cask strength as it drinks with lovely balance and the alcohol does not inhibit the bulk of the flavor from coming to the foreground. Finish: long and lasting the sweetness fades away leaving strong barley notes and more of that earthy straw and grass component. This is a great whisky and has some unique character that barley (Canadian 2 row) and climate (Ontario – Summer heavy humidity courtesy of Lake Ontario and cold persistent winter snow) provide. I can only imagine how good these whiskies will be as time works its magic over the next decade. Second up is the only 46% cask bottled so far thanks to the Liquor Depot group that purchased the majority of the barrel and requested the lower strength to make it a little more consumer friendly. Cask number 4 bottle number 37. Tasted in a Glencairn glass which is the best for nosing and is great for understrength whiskies. Nose: Much more barley up front than its cask strength sister and even at 46% the Glencairn fires the alcohol to the nose enough for some nostril burn if you get too close. As with the cask strength when watered, there is a lot more of that hay bail grassy note. Still perceptible is the vanilla cream but none of the marmalade that I can detect. Palate: Softer as expected on the palate with very subtle spices and persistence of sweet hay and malt with background vanilla. Almost reminiscent of a scratch and sniff vanilla malted milkshake (throw back to the 80’s). Finish: Shorter than the cask strength but still lingering and delicious with continuing sweet barley and vanilla. For the price, the 46% version is well worth it and will also help new whisky drinkers appreciate a fantastic Canadian made Single Malt. For a deeper and more complex experience, paying the extra for a cask strength version will have its rewards. There are no cask strength bottles available in the Western Canadian market as yet, but will be coming this fall for the Christmas season. 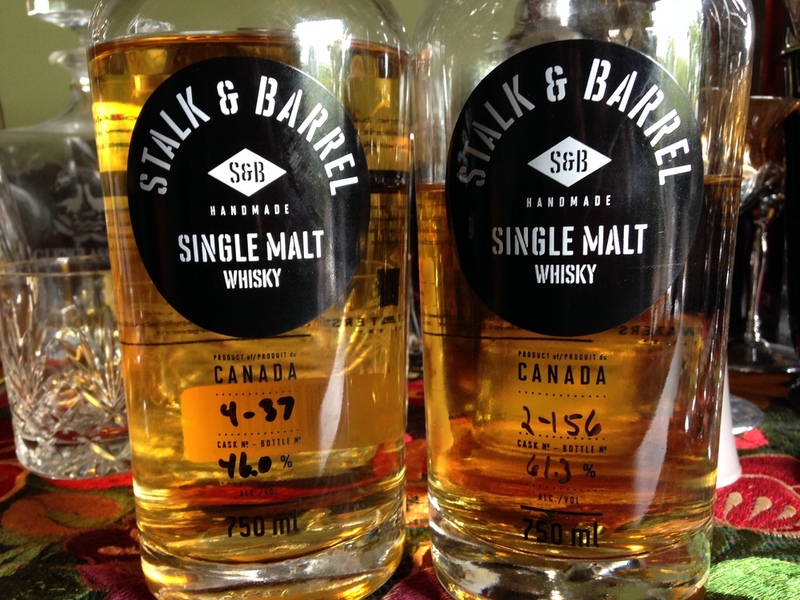 Both these whiskies are an exceptional expression of fantastic hand crafted Canadian micro distilling. Both the Barry’s should be applauded for taking the financial risks associated with a start up distillery and keeping true to their mantra of not cutting corners and being patient to release a truly great whisky. As a new Canadian I am proud to be drinking and representing such a great distillery. I would love to hear your experiences with Canadian whiskies and Single Malts in particular (not a lot to choose from but there are a number of expressions out there). Next week I’m going to get my Stampede on and look at some Cowboy inspired whiskies from the US and Scotland. Delve into the world of whisky with me and I'll draw you into perhaps thinking differently about this amazing drink than you have in the past.